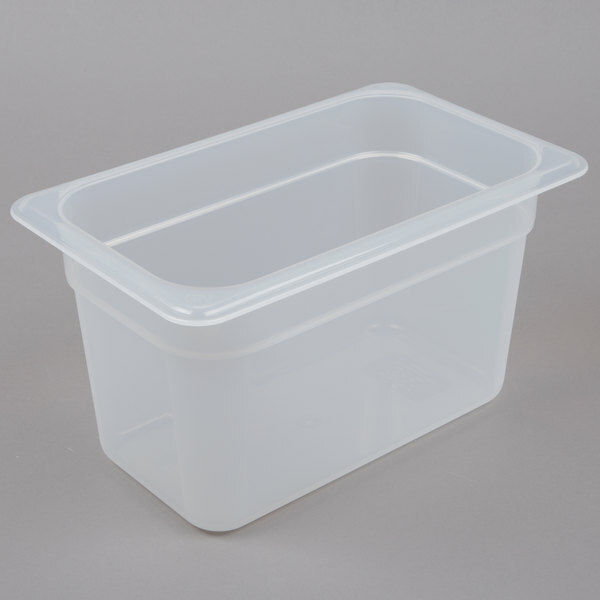 This Cambro 46PP190 1/4 size 6" deep translucent food pan is the perfect economical option for cold food storage. 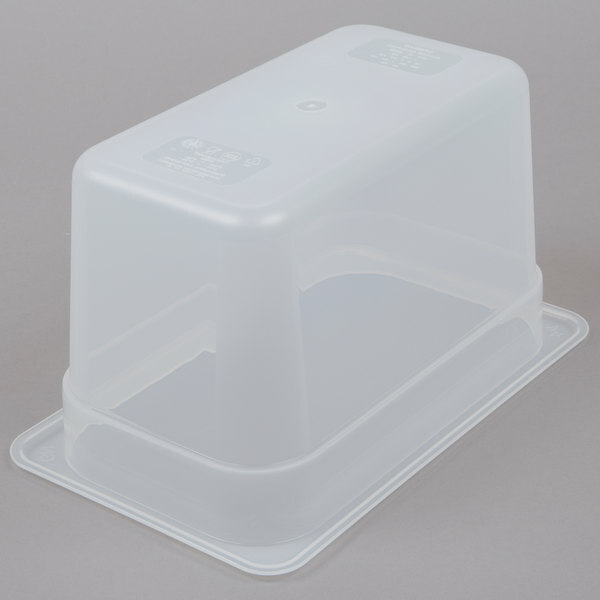 Its translucent polypropylene design provides content visibility and high chemical resistance atop your sandwich / salad preparation refrigerator, or within your Cambro food pan carriers. 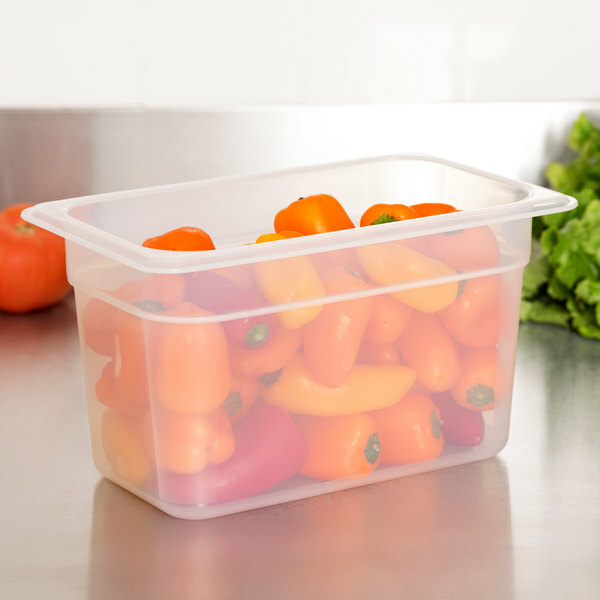 Each translucent food pan is capable of withstanding temperatures between -40 and 160 degrees Fahrenheit. Their convenient, non-stick interior surface promotes easy cleaning and stacking with other Cambro food pans. Actual dimensions may vary slightly. We have multiple of these in our kitchen. We use them for easy access to frozen fruits for smoothie making, excess chopped veggies underneath the prep Fridge, and inside the prep table. These food storage pans are a must have in my restaurant. I use all different sizes. I purchased the lids that correspond to them and they fit nicely. 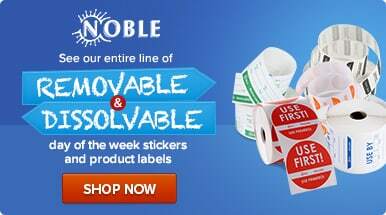 The price is great also.